Congratulations! Someone has just made a purchase offer on your Ottawa home for sale and you’re one step closer to the final closing! But first, you’ll need to pass the final home inspection. For some home owners, this can be a daunting stage of the home selling process. After all, if the buyer finds something egregiously wrong with your home, it could end up breaking the deal for you! Luckily, I’m here to help you seamlessly navigate the home inspection process. Today, in my second part in a series, I’m going to provide you with my top tips on how to pass your home inspection. Before the home inspection, make sure you remove any clutter throughout the home. Not only will this help your home leave the best impression possible, but it also won’t deter the home inspector from accessing such important systems as your heating and cooling system and mechanical systems. The last thing you want to do is irritate the home inspector because he’s having to riffle through your things to do his job. Before the home inspection, empty out all of your appliances. The home inspector is gong to want to check them, so make sure you’re not leaving clothes in the washing machine, dishes in the dishwasher or food on the stove. It’s making the inspector’s job easier, which will leave him in a better mood when he’s delivering the final report on your home. Before the inspection, make a clear path to the attic. You may even consider setting up a ladder to the attic. This will help the inspector finish up quicker and will make his life easier. During the inspection, make sure you and your loved ones (even the furry ones) are not around. 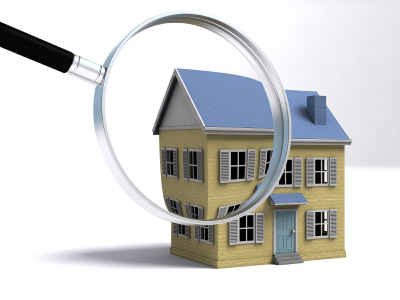 No home inspector wants to navigate around the current home owners while they’re trying to do their job. So make sure to leave about an hour before the inspection in the event that they show up early. During the home inspection, leave the doors unlocked. For instance, make sure any gates or doors to the garage or crawl space are unlocked to allow for ease of access for the home inspector. During the home inspection, provide documentation of repairs you’ve made. The home inspector will want this information easily accessible during his tour of your home. So make sure you leave out any receipts and related information in a binder or folder on the counter. More Home Selling Help for You! If you would like more tips on how to successfully navigate the Ottawa real estate market as a home seller, make sure to contact us, your Ottawa real estate exerts, today! I would be happy to help you at every stage of the process to ensure that your home is selling for the best price possible and in as little time as possible!